At least one time in most of our lives we have experienced pain. Whether the pain was inflicted by a close friend, family member, or a complete stranger we’ve all had to deal with it. What makes the pain different for all of us is how we learn to let go of pain. For some people it’s easy to let go of the pain, but for others it may take years for them to let go, if they decide to let go at all. Holding on to past pains can be toxic for ourselves and the people closest to us. 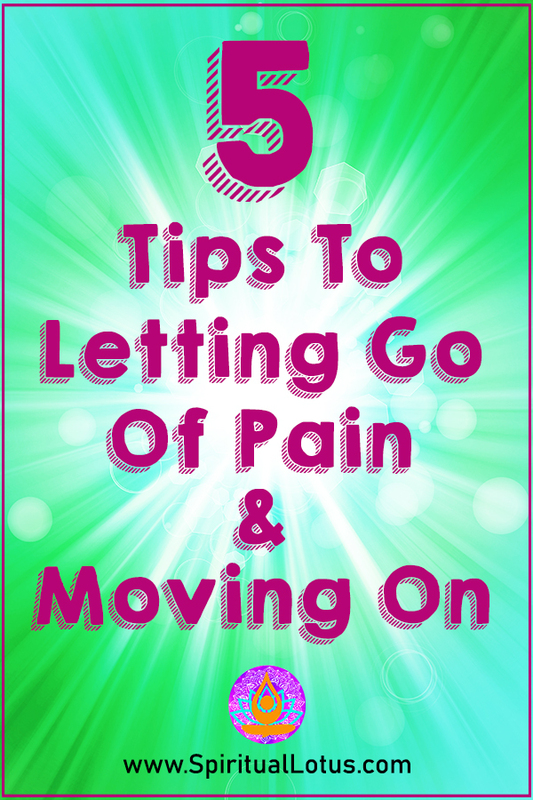 Whether you need to let go of a relationship or pain caused by someone else close to you, here are a few tips to help with letting go of pain and moving on with your life. As young kids we were taught that if we hurt someone (or if someone hurt us) that an apology from the offending side was in order. Whether the offending party was sincere in their apology didn’t matter as long as they apologized. As adults we assume that the rules should be the same. You hurt me, so now you must apologize. I want to be the first to tell you that you shouldn’t expect an apology every time you feel that you are wronged. In some instances, the person who hurt you may not know that they have caused you pain. In other instances, the person may not care that they’ve caused you pain so you definitely know that you won’t receive an apology from them. Your pain is about you and not about them. If you’re able to accept that you may not receive an apology, you’re well on your way to letting go of the pain someone has caused you. Being hurt by someone can affect us in more ways than we realize. Pain can cause us to always keep our guard up, become introverted, or even to lash out at others who have nothing to do with our pain. 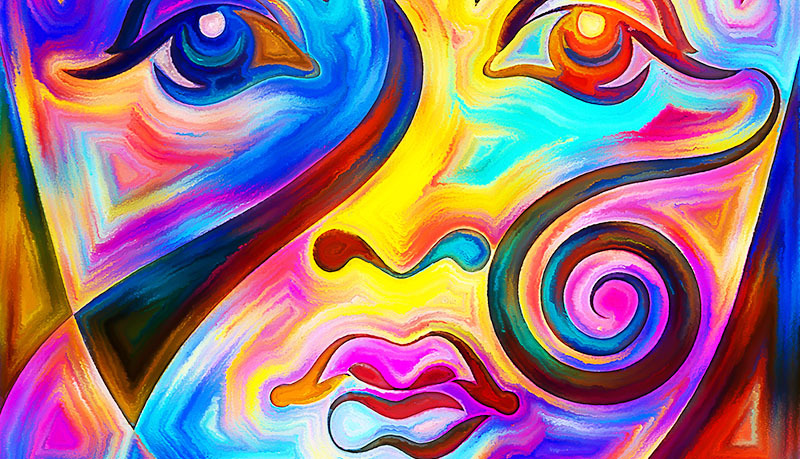 When we experience pain, it can take a toll on us, but how we react is what needs to be focused on when learning to let go of pain. Two different people can experience the same emotional trauma, but they may process it in different ways. The first person may blame themselves for the situation and allow that pain to be carried with them for the rest of their lives. The second person may process the pain differently and realize that they are not the cause of their own pain, allowing it to be released sooner. If you’re able to process your pain without suffering through emotional turbulence by being able to control your emotions, you also will be able to let go sooner. Keeping painful emotions inside can affect our mental, physical, and spiritual health. Finding a way to release pain in a healthy way can help remove the negativity surrounding those feelings. There a several ways you can express how you feel. You can express your emotional pain directly to the person you feel has caused it. You can do it face-to-face, over the phone, or even by writing them a letter. Keep in mind that they may not know that they’ve caused you pain, may not care, or you may not get a response (or the response that you may be expecting) at all. You can also try journaling as a way to let go of pain. Journaling allows you to accept that you are in pain and is a non-confrontational medium to release that pain. In your journal you can record the root of your pain, how often the pain effects your life throughout the day, the triggers that bring the pain back to the surface, and the things you’ve done throughout your day to help overcome your pain. You can also try the letter-method where you’d write a letter to the person who has caused you pain. In that letter you can write how you believe they’ve hurt you and how the hurt makes you feel. After you’ve written the letter, you won’t mail it off. You can read it aloud to yourself, keep it, trash it, or even safely burn it. Living with deep emotional pain can become a normal part of your life if you hold onto the pain for too long. You’ve learned to guard your feelings. You don’t let others get close to you. You’ve disconnected from your spirituality because it didn’t protect you from your pain. You’re quick to judge others because they remind you in some way of the person who has caused your pain. Since you’ve held onto your pain for so long and have adapted your character to this long-held pain, you don’t know what it’s like to live without this pain. You’re scared to let go because that means allowing others into your life. That means getting to know people before you judge them. That means getting back in touch with your spirituality that you’ve given up on. All of that can be scary, but know that having the courage to let go of your pain is one of the bravest things to do when seeking your new normal of living without pain. 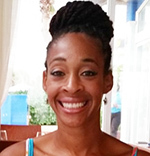 Some of our pain can easily be resolved by finding ways of our own to release the pain. Other pain such as bullying, childhood trauma, or domestic abuse, may require a little intervention in order to push through the pain. The best way to do this is to seek professional help. If you’ve read all of the self-help books, sought advice from your friends, and did every online exercise to help let go of the pain, a counselor or psychologist may be able to help you get over the hump. You can use tools such as the Psychology Today search tool. It’s ok to get help when suffering through pain when you’re ready to let it go. Have you ever had a deep emotional pain? How did you learn to let go? Or you may receive an apology that is not a true apology just words being spoken. Up to us to to know the difference and walk away. I have SUCH a hard time letting go. I try, I really do, but I just keep replaying things over and over in my head. This can be tricky. It can be easier said than done to move on. These are some great tips. I try to always focus on the positive. I find hanging onto pain takes too much energy. These are great tips. I agree that it’s so important to seek help and to not hold everything in. I just like to vent it and let it go. I don’t like to hold onto those negative vibes as it starts to affect me not just mentally and/or emotionally but physically and I can’t have that. Vent it and let it go. That first step is often the hardest. There have been times that I would have liked an apology from someone, but it was something that I knew would never happen. I definitely had to let that go. I have gone through these things and I can not let go it is so hard. I find that sometimes no one wants to listen to me. These are great tips. I think almost everyone can benefit from talking with a counselor. These are great tips! Sometimes you forget yourself when someone hurts you! This is something to keep in mind when someone does hurt you. I’m actually going through something right now and this really helped! I’m going to work through it and move on. These are really helpful tips. I sometimes have to go through the steps repeatedly to really let go of something. I’ve seen someone I love suffer pain like this and it is really hard. She can’t seem to let go and it has made her life so much more difficult. I have empathy for her because I experienced the pain on much smaller scale, but I hope that one she will be able to let it go. It seems like she is trapped in her pain and can’t see how to let go. These tips are the best way to begin feeling better, to let out the pain. We all should remember these when we fell sad. When I was younger, I found it really hard to move on especially when someone close to me causes pain. But now that I’m older, I try to be more understanding. These are all great tips for moving on. Glad that you shared them to help others move on from pain. I hang on for dear life!!! Good grief, that has not served me well at all. Great tips, follow them, people! If you don’t expect an apology then you won’t be disappointed when you don’t get one. If you do get one, consider that a bonus. Very important tips! A great reminder that you need to focus on letting the pain go and moving forward. Yes venting out is best thing to let the pain go and go forward everything not happens according to our wishes.